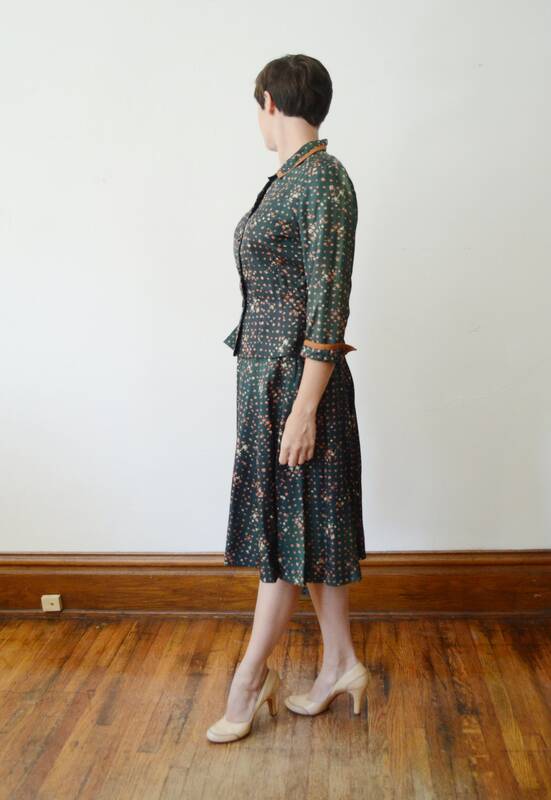 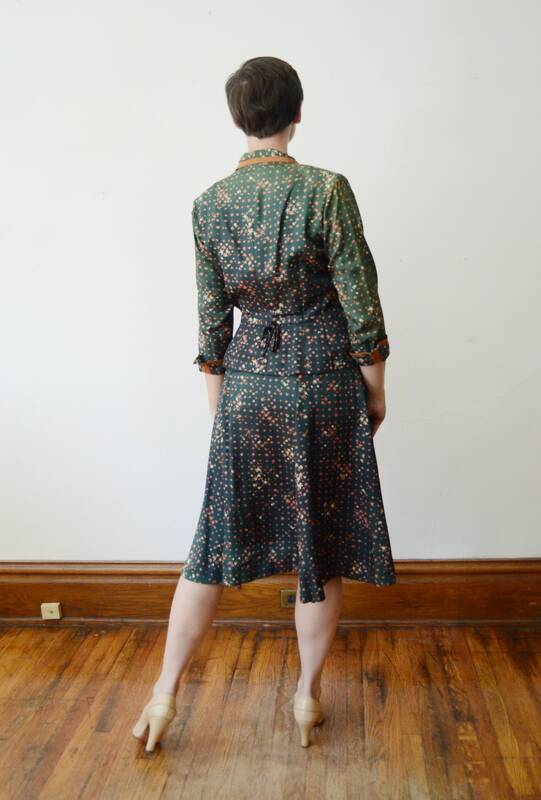 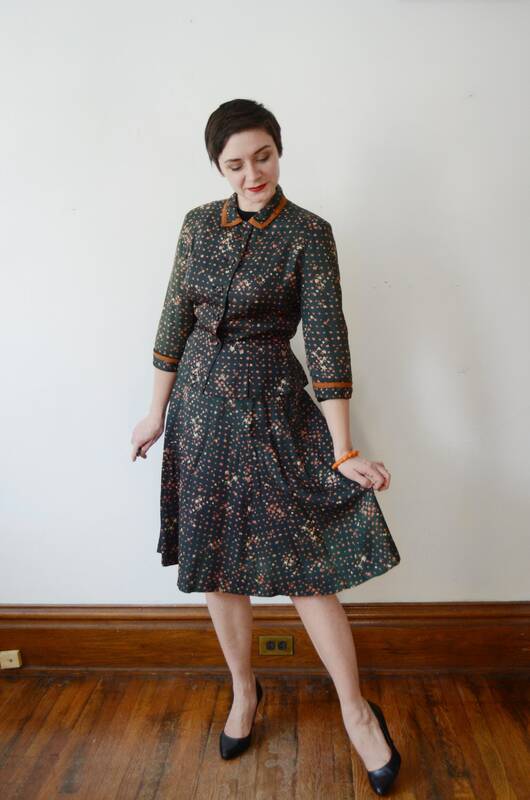 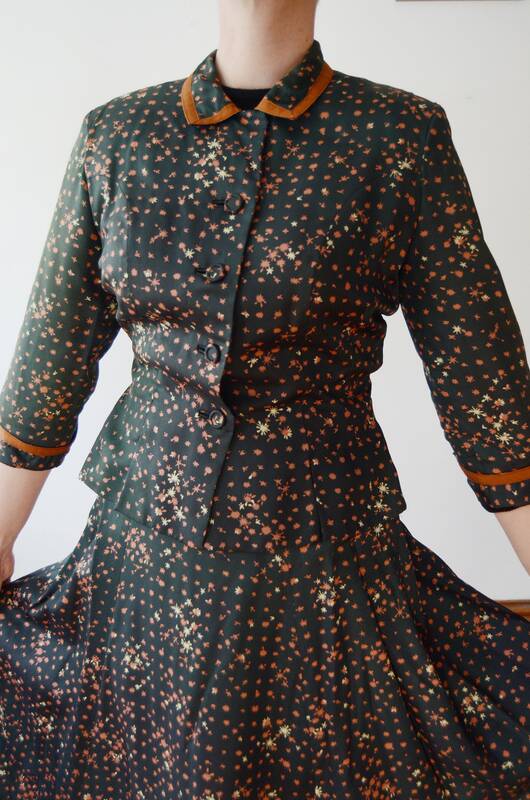 Description: Dark green early 50s skirt suit with a paint splatter/ atomic style print. 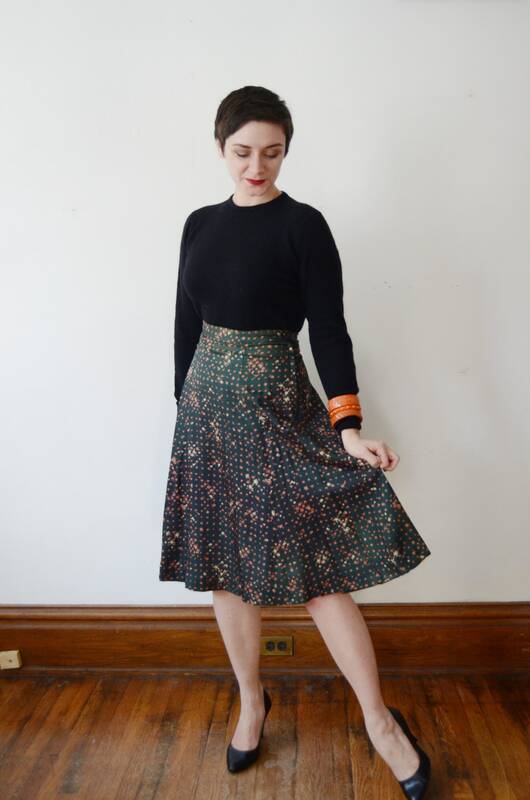 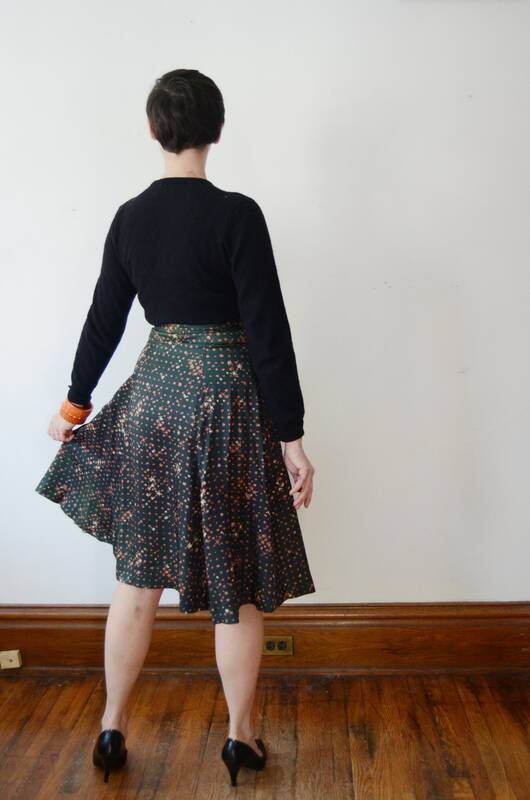 Skirt has a metal zipper for closure. 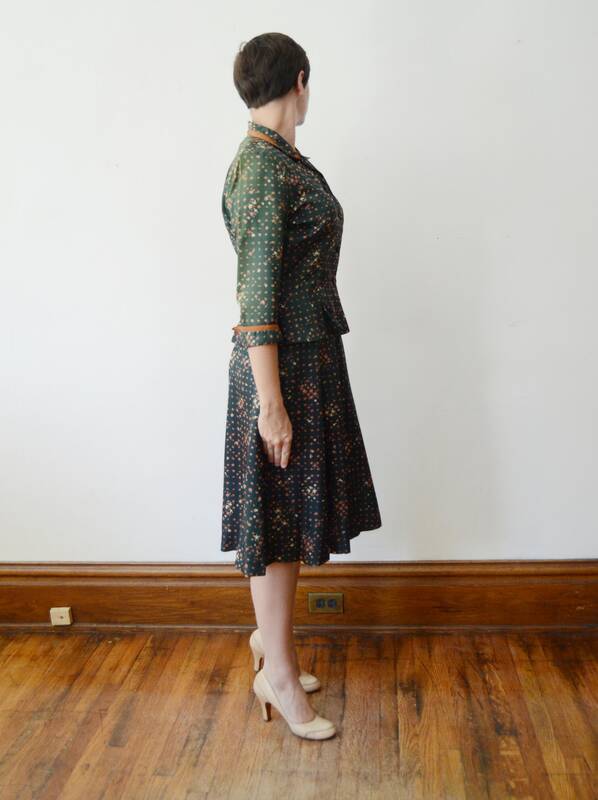 Jacket has small shoulder pads and a nipped in defined waist. 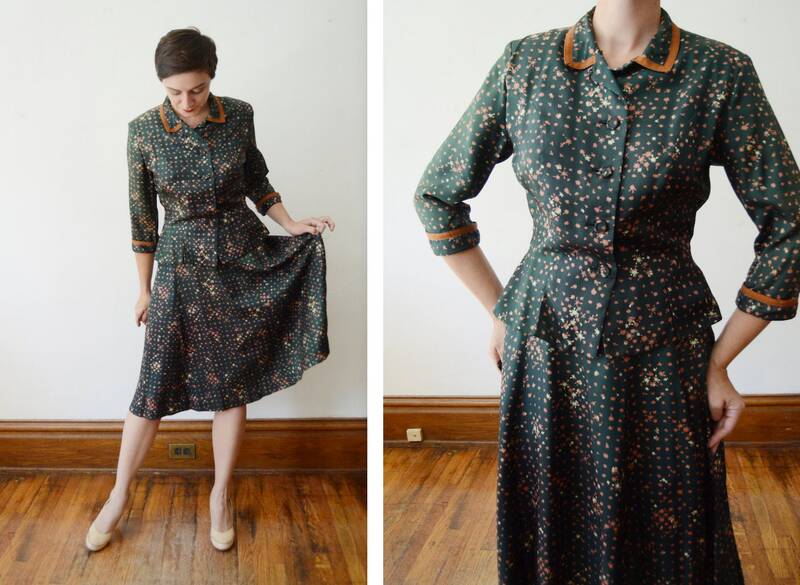 Fabric: A silky woven fabric, likely a rayon or acetate. 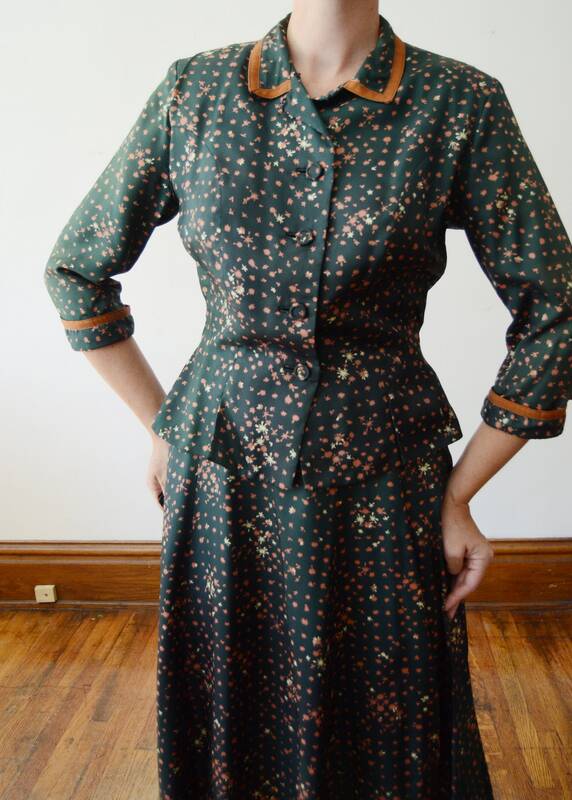 Condition: The shoulders have a lot of fade to them, if you don’t appreciate a good vintage fade then this suit will be highly disappointing! 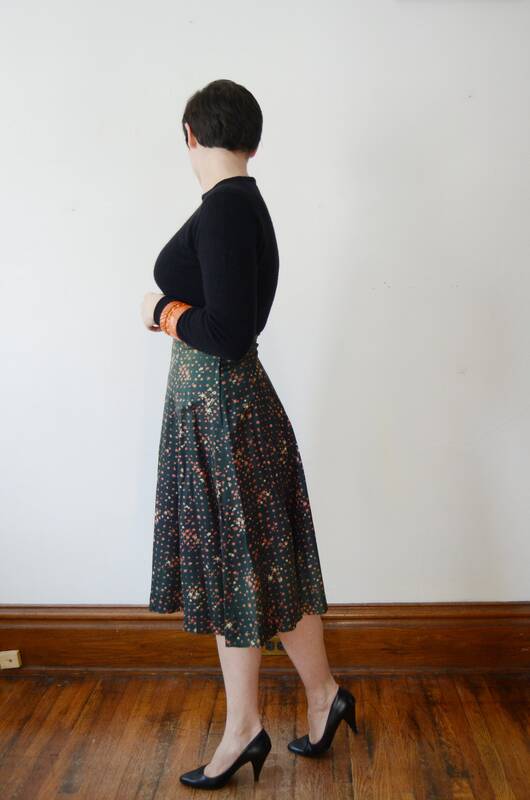 The set is basically priced just for the skirt, which is in great shape!